Cynicism in Classical Music—has skepticism become the norm? TwtrSymphony is an orchestra founded because I write orchestra music and need an orchestra to play it. The problem I face getting my music played by other orchestras is simple: Music Directors and Conductors are extremely busy. Even if they're willing to give my music a glance (and few of them are willing unless they already have a personal relationship with me), they often don't do more than listen to the first couple of minutes of music. If the music doesn't grab them by that point, they're done and my score goes no further. While some will accept midi realizations, again, these who do are by far the minority. Even those who accept midi realizations prefer live recordings. So, composers need live-orchestras to record their music if they have any hope of getting music played by a live orchestra — rather a catch-22. Tweet your Q's to #TwtrTpc to answers from the sound engineer professionals of TwtrSymphony all day today. They'll try to answer questions on Twitter, but all your questions will be posted here tomorrow - with as many answers as possible. Also look for future posted with more in-depth answers to the more difficult questions. WOW, the conversations were fast and furious today. A HUGE thank-you to Felipe for fielding so many questions. Although, I have a feeling anyone reading today's discussion will only have more. 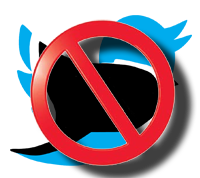 That's OK - you can tweet them to #TwtrTpc OR email to TwtrSymphony. We'll get you an answer! Jeff Freeman: #TwtrTpc I use a Zoom H2 as a USB mic into my Windows laptop. Mixcraft 6 is my software of choice. Violin recorded with 1 mic at 1 mt, room by 2 mics. No eq, no edit no plugins. Headphones for recording?, Closed Back or In Ear type. On both cases not the cheap ones, here, more $ is better. Which Audio Interface?, one with at least 1 Mic input and headphones output, USB 2 or Firewire for faster speed. An external Audio Interface will sound better than the computer built in, allowing better recordings from you. DAW (Digital Audio Workstation) is recording software in your computer. Purchased software options: ProTools, Logic, DP, Cubase. More purchased DAW options: Audition, Nuendo, Vegas. Some free DAW options: Audacity and Ardour. #TwtrTpc Dynamics: What are ways TwtrSymphony can communicate dynamics to the musicians? What are some of the way TwtrSymphony can effectively communicate the different dynamic levels to the various musicians considering none of the musicians are in the same room? It has already been suggested we create principal chair positions, who play the first parts to provide a guide for the rest of the musicians. Are the other options? What does this mean for the principal players and how do we get them to have the same dynamic levels? #TwtrTpc What are the issues playing with a virtual orchestra? As the Music Director/Composer-in-Residence, I'm familiar with the tracks as they come in. It's surprising to me how good two individual tracks can sound. Yet put them together and the slight differences between attack and release are extremely noticeable. Trying to write music that allows musicians a chance to express themselves and yet capture that ensemble, everyone playing together feeling is a real challenge. 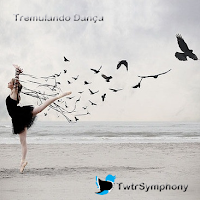 "Tremulando Dança" is the third movement and is Portuguese for Fluttering Dance. As might be typical for a third movement in a classical symphony the minuet and trio is used with a nod toward the Scherzo or "joke." The music dances about in an altered rumba beat for the minuet, with the trio a modified waltz with some unlikely shifts in the beat. The minuet keeps the heavy use of 13/8 as the main underlying meter. You can download the music from TwtrSymphony's website: twtrsymphony.instantencore.com. Want to get involved? TwtrSymphony is always looking for new people who want to connect with other musicians from around the world. Click here for more information. Monday, October 15th, TwtrSymphony will release the long awaited 3rd movement of Symphony No. 2 Birds of a Feather, "Tremulando Dança." This piece, which some of our musicians called, "the most difficult, yet rewarding music" is finally out of the studio and ready for the public. On October 30 in North America Decca will release the debut album of American cellist Alisa Weilerstein. The album features the Edward Elgar and Elliott Carter Cello Concertos, and Max Bruch’s Kol Nidrei performed with conductor Daniel Barenboim and the Berlin Staatskapelle. Ms. Weilerstein signed an exclusive recording contract with Decca in October 2010 and is the first cellist to sign with the record label in over thirty years.